It’s game week, Blue Devil Nation! After months of anticipation, the Blue Devils are ready to take the field and kick off the 2011 season against the Richmond Spiders. Richmond will travel down I-85 led by USC QB transfer Aaron Corp with a lot of confidence, having won their last two trips to Durham decisively. Meanwhile, Sean Renfree and the high-flying Blue Devil offense will look to get off to a hot start, and revenge for the 2009 season opening loss will certainly be in the back of their minds. With a new Head Coach and a young team, it’s hard to know what to expect from the Spiders on Saturday. Fortunately, we caught up with Spider Bandwagon to get their thoughts on the opening night match-up in Durham. Be sure to check out their site to read the BDN take on the game as well. BDN: After the untimely resignation of Head Coach Latrell Scott during training camp, Offensive Coordinator Wayne Lineburg was named interim Head Coach. Given these events, what is the general mood around the Richmond program? What changes, if any, has Coach Lineburg made? How much of a distraction has this been for the players, as they prepare for Duke? Everyone even remotely associated with the program is saying all the right things: next man up; stay the line; come together; [insert other clichés here]. For the most part, I’m buying the party line. Lineburg (pronounced Lynn-uh-burg) was brought in by Latrell Scott last summer as offensive coordinator. He’s from a coaching family and already was looked at by many as an eventual head coaching candidate. By all accounts he’s changed little in the day to day since taking over. He’s familiar with the players and vice versa. I really don’t think much will be lost in the transition. What’s more, this is Lineburg’s second stint at UR; he was on the offensive staff from 2004-06 and helped lay the foundation of the national championship team. Generally, I think most Spider players and fans would admit they’d rather go through this coaching switch than repeat last year’s four different starting quarterbacks fiasco. 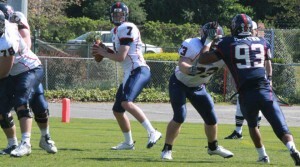 BDN: QB Aaron Corp had his first year at Richmond cut short by injury after transferring in from USC. How have his health and performance been heading into the season opener? What does he need to do to realize his potential, which had made him such a highly-touted high school prospect? Simply put Corp needs to stay on the field and stay healthy. The knee should be 100% at this point. Despite only five games last season, I think he’ll benefit from a second year studying and learning Lineburg’s offense. As long as the offensive line can gel (three returning starters) to give Corp time and keep him on his feet, he should put up big numbers. BDN: All-Conference WR Tre Gray is back and figures to be a favorite target for Corp this fall. What other weapons will the Spiders' offense have? 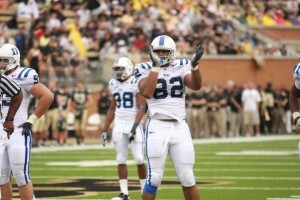 How do you expect Richmond to attack the Duke defense on Saturday night? I actually expect a pretty vanilla offense on Saturday. The order of the day will be establishing the line of scrimmage. Look for a healthy dose of hand offs especially early to a committee following FB Kendall Gaskins. When the Spiders do throw, keep an eye on sophomore WR Ben Edwards getting space opposite Grey. BDN: With the loss of CAA POY Eric McBride along with All-CAA defensive lineman Martin Parker, the Spiders' defense will have big shoes to fill this fall. 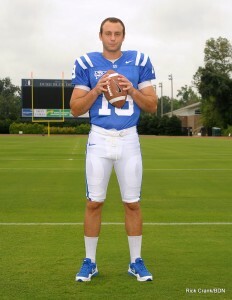 How will Richmond try to slow Duke's prolific passing game? 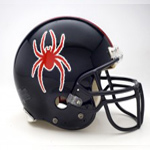 Which players will have to play well for the Spiders to keep the Blue Devils out of the end zone? Luckily the Spider secondary figures to be the strength of this defense in the early going. Tremayne Graham and Daryl Hamilton return on the corners, and Cooper Taylor, a transfer from Georgia Tech, is expected to make a huge impact in taking over the safety spot. Up front, the focus figures to shift from the linebackers to the defensive ends. Kerry Wynn and Brandon Scott, 6’5” and 6’4” respectively, need to cause havoc in the backfield and give the young linebacking corp space to make tackles. If Wynn and Scott can’t get upfield, UR will be in for a very long evening. We'll see you under the lights in Wallace Wade on Saturday! BDN: Richmond has two straight wins against Duke in Durham, though the Blue Devils lead the all-time series 9-3. Vegas has the Spiders starting out as 8.5-point underdogs. 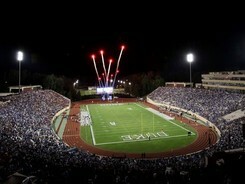 How do you expect Saturday's season opener to play out under the lights in Wallace Wade Stadium? I think the Spiders will play well, keep things close for awhile, but come up short. This team is still very young. Finally getting away from camp will do this team some good, and Corp will have good numbers by the final whistle, but they’re not ready to knock off an FBS team. 27-14 Blue Devils. BDN: Thanks for your insight. Good luck on Saturday!